I'm Just Sharing » Are You Waiting For Someone Else To Make You A Success? Are You Waiting For Someone Else To Make You A Success? Earlier this week I read a post by a guy named Mark Schaefer, who writes a blog called Business Grow, titled Why Are the Social Media Elite Ignoring Us? It was really a post responding to a question he was asked as to how to get the top social media and internet folks to notice us and, by extension, help us get bigger on the blogosphere. I like how Mark responded to the question, and he wrote one line that I thought was the best takeaway in the whole conversation: “Start your own sphere of influence.” Goodness, how powerful a statement is that, especially to someone like me who’s talked a lot since the last third of last year about the topic of influence? It’s interesting because it also touches upon a post Danny Brown has recently on diversity in social media, or kind of a lack thereof because, though there are many minorities in social media, many of “us” aren’t really recognized by the at-large folks who book conferences or read other blogs and decide to recognize people for their blogging prowess all that often. There were a few people who said they don’t want to be recognized because they’re minority, but would like to be recognized for being good, and some of them are very good indeed. There’s really a fine line between being successful and just being considered as good. People that participate on American Idol are very good; only a few of the winners have been successful, and a couple of non-winners have been successful as well. What this shows us is that sometimes, even with a great boost from something or someone big, you might not really end up being considered as one of the best. How many American Idol winners and runnerups have failed to capitalize on what has to be the biggest boost their careers could have ever had? At the same time, how many people do fairly well because they’re captured the attention of a loyal few? I like to think of our blogging community as a loyal few. We visit each other’s blogs and get to know each other’s names and what we like. We comment on each other’s blogs and help to encourage each other. Some of us buy from each other if there’s something we find of value because we trust the other person after awhile. And we’re there for each other if need be; I don’t know how many causes I’ve taken up to support my blogging friends over the years. It becomes incumbent for each of us to find our ways of being taken seriously by the blogosphere, or social media sphere, if that’s what we’re shooting for. It’s also up to us to produce what we feel is the best we can offer to others when we blog or interact in some fashion online. Sometimes it’s a lucky break, sometimes it’s the wealth of what we produce, and sometimes it’s just not going to come. How does one person write for a year and end up with thousands of subscribers and followers and another person write for 3 years and end up with maybe 100 people following? I don’t know, and I’m betting the people who succeed don’t really know. But they didn’t sit around wondering how it happened; they did what they had to do, and it came to them. And if it came to them, it can come to all of us. Don’t wait for someone else to make you a success; be successful all on your own. And if you ask me, if you’re consistently writing in your blog, you’re already successful. I’ve started reading Mark’s blog and like what I am seeing expressed there. So good about having own sphere of authority or influence. Don’t really follow the so called A listers although some I learn from are A listers in that they are successful. They just don’t act like they are above us or big note themselves. People like Danny Brown, who has come over to my blog and commented. Yet he blogs every day, replies to all his comments and is active on Twitter. Manages to run his own business! But remains down-to-earth and accessable. They are more the people I want to interact and learn from. And all the amazing people in the community I am active in, I enjoy supporting as they do me. Way to go Mitch. Enjoy your writing and this is no exception. Thanks Pat. Actually, I do follow a couple of the A-listers because they’ll often have some good stuff. I don’t often comment because I don’t want to parrot the other hundred people who end up saying almost the same thing I want to say. As long as I get something out of it, and of course can comment easily enough if I like what I’m reading, I’ll check it out and possibly say something. But I think you’ve proven that working the community helps to make one an A-lister of their own group, creating their own sphere of influence. That is a very powerful statement. I wonder how personable a person really needs to be if you are using the internet? I have met a number of radio personalities that are super shy in person but come to life when they are behind the microphone. I would also assume that certain niches lend themselves more to relationships. This is really good food for thought. That’s fairly true, Selina. I think a lot of online writers turn out to be fairly shy in person. I go both ways; I can be open and gregarious in some circumstances, then hide in the shadows trying to hide in others. I’ve just recently introduced video to this blog to try to open up a bit more online; it seems to help a bit more. I love that statement as well; I wish I’d said it first. Hey Mitch! I’m on the same page with you. That post over on Danny Brown’s blog is interesting but the comments are what I call “deep” 🙂 I can see why some of the reactions inspired you to write this post. Jennifer Hudson is the classic example of a successful American Idol “loser”. The only thing that girl has lost recently is a whole lot of weight. LOL She’s the bomb. Thanks for the post Mitch! Thanks Ileane. It’s been an interesting conversation over there, but on the blog I quoted for this post I felt the statement was talking directly to me, which is probably why I liked it so much. Whereas every once in awhile I think about the “boost”, truthfully something to think about is whether I’m fully ready for such a thing from someone else. After all, one hopes to be making some kind of online money to cover expenses when that happens. This is my first time writing a comment on your blog. But I found it very outstanding and close to reality. I share your feelings. I loved Marks Quote words that you have mentioned in your post. Oh I did not read your comments policy, I will have to read that too. Thanks for stopping by, Fran. Mark’s quote seems to be a winner, and I hope you checked out what he wrote as well. Chris doesn’t always do it, but he does it often; this is my commenting on your comment on your blog. lol I think if he wrote posts as long as I sometimes do that he wouldn’t do it, but his quick hitters are what’s helped his blog grow. Consistency, good idea and discipline. Again it depends on the business, but there are ways to dominate even in saturated market. I always use one simple principle – work on websites that generate and leave the one that does not. Usually most marketers are doing the opposite which doesn’t make sense. As well if 1 website is successful, I try to duplicate – for example niche+same nice news+same niche community. That’s a good way to go, Carl. It maximizes your time and helps the one you know is working to produce even more. I am in total agreement about “your own circle of influence.” In my group, Boomer Diva Nation we have something called “Twitter Tuesday” where we all go out and RT each other’s stuff. Thru those RT’s, our blog posts and other items are literally seen by tens of thousands of people because we don’t all have the exact same followers. It’s pretty cool because it has elevated BDN as an important influential women’s group. As far as the A-listers, I really don’t follow any of them but I do read some of their stuff because you can always learn something from them. That’s a neat thing y’all do, Bev. I’m part of a little group that was supposed to do something similar with blog posting, but everyone’s stuff is so different that the original goal was lost; I mean, it’s hard to comment on something in a different language. lol And to say “following” is kind of a reach, but I have them in my feed reader program and read when something looks interesting. Like you said, there is almost no difference between someone who writes for a year and gets thousands of subscribers and someone who writes for 4 years and has 10 subscribers. They are separated, in my opinion, by the will to succeed. One wanted and did something about achieving his success, while the other waited for some miracle and passively waited for his success. Well Alex, I won’t go quite that far. 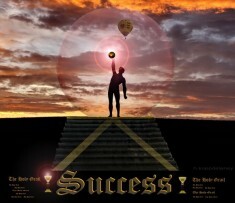 I think “will to succeed” only goes as far as one’s knowledge on how to get there. I’ve read tons of stuff on affiliate marketing and would like to succeed, but there are so many unanswered questions that here I sit, 7 years later, having made very little off it. But when it comes to blogging and growing one’s blog, I have some knowledge of that at least. I am a recent subscriber to Mark’s post and have been following Danny for a while now, Mitch. So, I get what you said about the influence these guys have on their own blogospheres and I am happy to have found them as I did you. Although I am fairly young in this blogging community thing, I have learned that a blogger doesn’t have to be an A-lister for him or her to bring something good to the table. Each of us has our own thoughts and ideas to contribute, so we each have earned a right to develop our “own sphere of influence” as Mark said. Exactly Wes. While it might be nice having an A-lister decide that they want you to be the next big thing, it’s also nice building up your own community of folks that may sing your praises elsewhere and interact with you as if you’re one of their close friends. Still, as someone looking to increase his influence, I’m still amazed at some of the folks that do end up with highly ranked blogs and wonder what they did that I didn’t do every once in awhile. Mitch, I believe those people that didn’t become successful on American Idol failed to do so because they just were not considered good enough. I’ve noticed that there are some Idols who didn’t win who were more successful than those who did. This is because the audience/voters sometimes get it wrong, but those in the business recognise the real talent and help them to become stars. As to bloggers who get a lot of subscribers that could be because they try a lot harder at getting people to subscribe, such as giving away stuff and such. When I write a post I judge it’s success on the amount of comments I can get as well as the amount of Tweets. I think I do pretty well considering I don’t have much of a following as far as social media goes and I have noticed that those who get so much more tweets than I do have a pretty large following. Sire, I’m not sure I agree about people trying harder and thus getting more subscribers. You and I both had contests that failed, and we gave away some nice stuff. Some folks are always talking about contests as a way to drive people to their site but if the proof is in the pudding, it doesn’t quite happen that easily. Maybe we were offering the wrong prize. I get a lot of women on my blog I wonder if I put my body up for grabs?